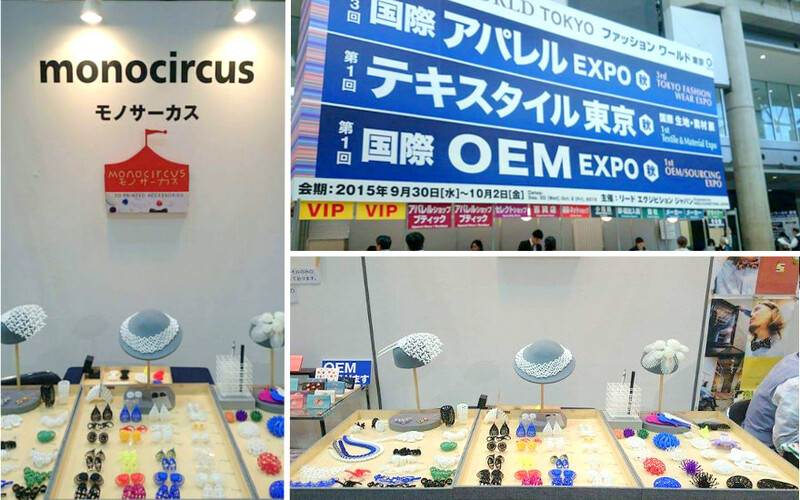 For a period of 3 days from September 30th to October 2nd, Monocircus will be exhibiting at the 'Fashion World Tokyo' Autumn 2015 in its 6th International Accessories Expo at the Tokyo Big Sight. This year, we have been actively involved in various market and exhibition events within Japan while this marks our very first time exhibiting at one of the largest FashionTrade Fairs in Japan! Fashion World Tokyo 2015 is said to be one of the largest Fashion Trade Fairs in Japan with more than 720 exhibitors from over 30 different countries around the world. The event composes of 7 main exhibition categories namely, Apparel, Bags, Shoes, Accessories, Men's Tokyo, Textile Tokyo and OEM EXPO. Visitors to the event includes prominent buyers and merchandisers from apparel shops, select stores, boutiques, department stores, etc. Monocircus will be exhibiting in a little booth at the Accessories Category, presenting our signature series of 3D printed fashion accessories. One of the components of this trade fair event to note is the 'Made in Japan' gallery where a series of items carefully selected for their quality and design specific as being 'Made in Japan' will be exhibited. Monocircus' 'LEIA' will be featured amidst other selected items in this exhibition. The Fashion World Tokyo 2015 is one of Monocircus' very first stint and we are really excited as well as nervous! We hope the event will bring about new encounters and generate new ties for Monocircus' creations to reach a greater public!